It’s sweater weather and I couldn’t be more excited! I have been aiming to working on more sweater patterns this year and I soon plan to release a crochet velvet yarn sweater (if you’re following on Instagram you might have spotted a couple of snaps). I am really excited for this design and I can’t wait to see it finished! 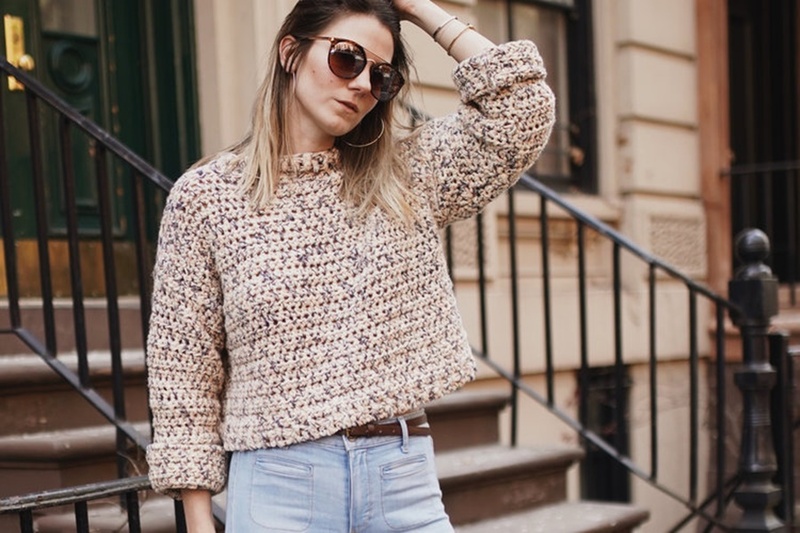 I have compiled a round up of some of my favorite sweater patterns below, which are quick and easy to make and are a great way to learn a new stitch and how to crochet your own garment! Candy Land Jumper by Two of Wands. Acacia Cropped Sweater by Hooked on Tilly. Jazzy Cardigan by Little Things Blogged. Cocoon Sweater by Stitch and Hustle. Wonderland Cardigan by 1 Dog Woof. Farrow Sweater by Little Things Blogged. Casual Cardigan by Malloo Knits. Easy Knit Like Sweater by Mama in A Stitch. Veronica Cocoon by TLYarn Crafts. Oversized Pullover by Brenna Ann Handmade. Parker Cardigan by Oombawka Design Crochet. I hope you enjoyed this fun sweater round up and start working on your own today!